" Our aim is to breed modern, athletic horses suitable for top level sport... Something we would want to compete." 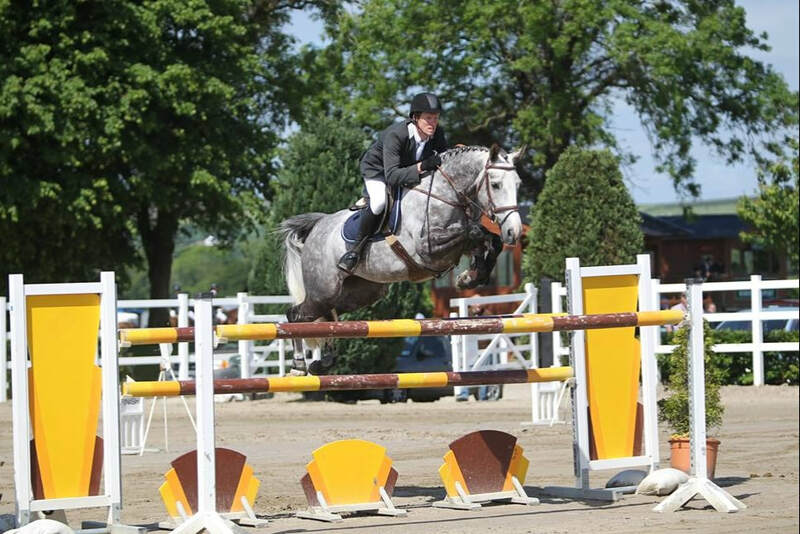 Ballycapple Mist is our premier brood mare, having produced her ourselves from a 4 year old she has competed up to 1.45 and has numerous wins at National and placings at International level. A traditionally bred Irish mare she is listed as one of the 44 remaining Elite top level Irish sport mares in Ireland. By Boherdeel Clover out of Ballycapple Cruise by Cruising she is related to both Grand Prix show jumpers and 4* eventers. In her first year breeding (via Embryo transfer) she has produced a filly by Kannan and a filly by Diamond de Semilly. In her second year a filly by Luidam and a filly by Je T'aime Flamenco.